The celebration of Easter Sunday is approaching. It's a time for rejoicing and celebrating the Resurrection of Christ. In the Mancuso/Esposito household, Holy Saturday was celebrated in a special way. 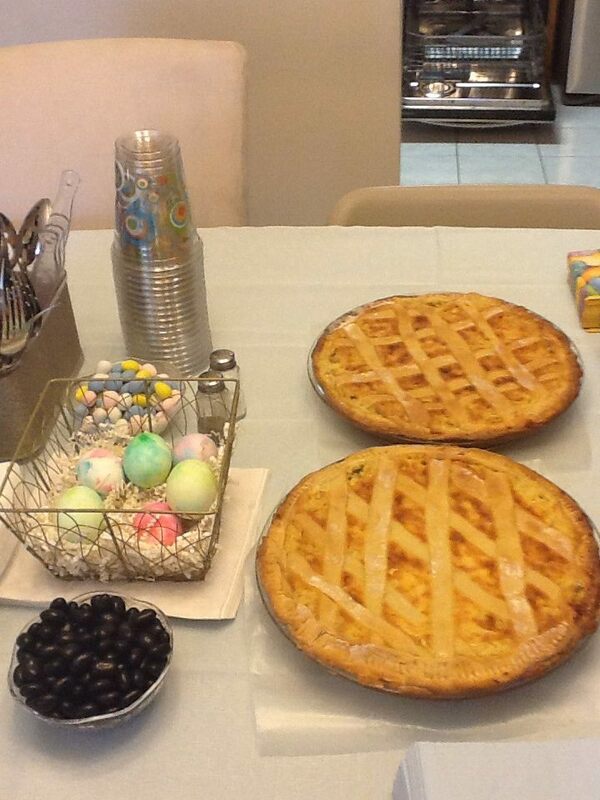 My son, Marty, refers to it as Easter Pie Saturday. My Mom would start preparing the baked goods on Holy Thursday and bake right into Saturday morning.... Braided sweet Easter Bread with brightly colored hard boiled eggs, Black Pepper Taralli, Orange Glazed Cookies, Pizzagaina (Rustica), Easter Pasta Pie and of course homemade Grain Pie. Grain Pie was the most complicated recipe of all. There were actual "steps" that needed to be taken to complete this masterpiece. Over the years, I have tried my best to keep this tradition alive. Lucky for me, my future daughter-in-law, Brittany, has mastered this art and who I gladly hand the torch over to. Soak uncooked grain overnight in water in the refrigerator. Drain water and cook similar to rice doubling the amount of water to the amount of grain. After one hour, add evaporate milk, sugar, citron and orange zest. Bring to a simmer and cook for additional 1/2 hour. Mix dry ingredients in mixer, add milk, margarine, extract and eggs one a time. Knead dough and form 4 dough balls. Add more flour as needed. Make ahead and refrigerate for easier rolling. Roll dough and press into two 10" deep dish greased pie pans. Fill pie pans with Ricotta mixture. Roll remaining dough and cut into lattice pieces making a criss-cross design over filling and around each pan. Bake at 350 degrees for approximately 1 hour or until golden brown. Britt, my mom would have been so proud. 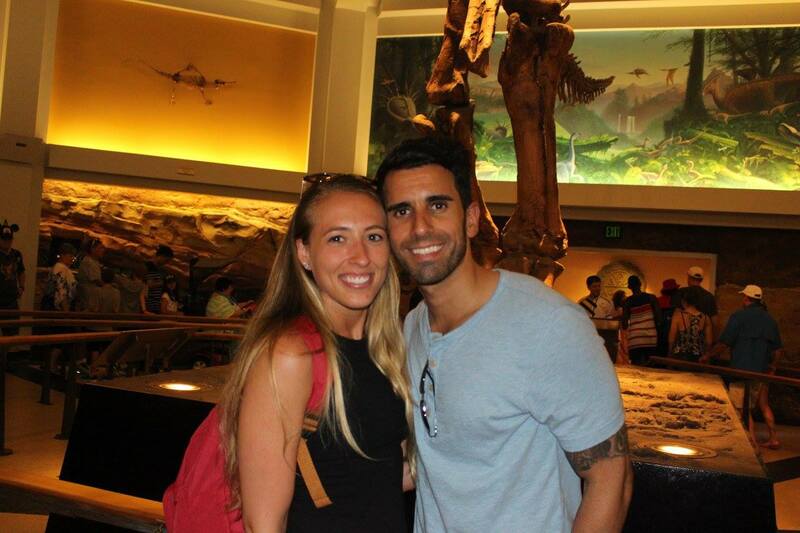 You are only lucky man, Mike. The Italian Doughnut.....In Brooklyn, we grew up eating zeppoles. They were a main attraction at all of the Italian Feasts and Church Carnivals. My grandma, Eva, would make them during the holidays and my mom carried on the tradition. I used to make them when the kids were younger but now with all the hype about healthy eating, the tradition fell by the wayside. The first time I went to the Monmouth County Fair in NJ, I was introduced to Funnel Cakes.... same idea, different shape. Even though, the New Jersey version are delish, I still miss the old fashion chewy Zeppole. I saw this recipe on FB and it is exactly the same as the one I have in my old recipe box. If you're in the mood for a cheat, try it. Pour about 2-3 inches of oil into a 3-quart pot and heat over medium-high flame. Combine all dry ingredients in a medium mixing bowl. Add in eggs, vanilla and ricotta and mix well. The consistency will be like a thick batter. When oil is hot (about 375 degrees), start frying in small batches of 3 or 4 at a time using about 1 tablespoon of batter for each zeppole. The batter will puff up when dropped in the hot oil. Fry about 3 minutes or until deeply and evenly browned on all sides, flipping over about half way through. 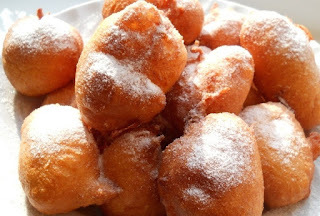 Transfer fried zeppole to paper towels to absorb excess oil and sprinkle with confectioner's sugar. You can also use regular granulated sugar, if desired. Saw this on FB. What a great recipe. This is not only easy but it's a patriotic addition to the Memorial Day or Fourth of July dessert table. Heat oven to 450°F. Remove pie crusts from pouches. On lightly floured surface, unroll and stack crusts one on top of the other. Roll to 17x12-inch rectangle. Fit crust into ungreased 15x10x1-inch pan, pressing onto corners. Fold extra crust even with edges of pan. Prick with fork. Crimp edges. Bake 10 to 12 minutes or until golden brown. Cool completely, about 30 minutes. In medium bowl, mix cream cheese, sugar and milk until smooth. Spread into crust-lined pan. Refrigerate about 1 hour or until set. Gently mix berries and strawberry glaze. 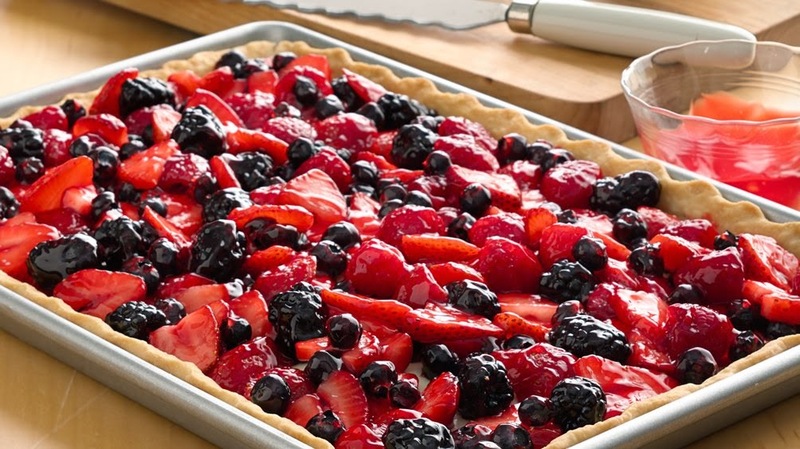 Spoon berry mixture on top of cream cheese-topped pie crust. Cover and refrigerate until serving. This cookie put a big smile on Tom "TheBomb" Verni's face. Try it. You won't be disappointed. Heat oven to 350°F (325°F for dark or nonstick pans). In large bowl, mix cake mix, oil, vanilla and eggs with spoon until dough forms. Refrigerate dough 15 to 30 minutes or as needed for easier handling. Shape dough into 1-inch balls; roll in sugar. On ungreased cookie sheets, place balls about 2 inches apart. Bake 9 to 11 minutes or until set. Cool 1 minute; remove from cookie sheets to cooling racks. Cool completely, about 30 minutes. Store tightly covered. This recipe was shared by my Team Lead, Cathy Silva. She prepared a batch for "Souper" Friday at work. I tasted it and fell in love with its creamy tomato goodness. Can't wait to make it. Definitely going to pair it with grilled cheese sandwiches. In large pot, heat EVOO. Sauté onions till translucent; about 5 minutes. Add garlic and carrots, stir and sauté about 5 minutes. Return to heat and add half-n-half. Stir until blended. I like to put oyster crackers on mine in the bowl! Flu and cold season is around the corner. The best cold remedy is Vitamin C and Chicken Soup. I found this recipe online. 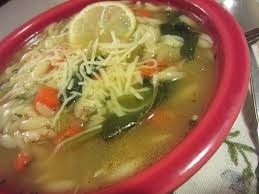 It's made with a light and refreshing chicken lemon broth, orzo pasta, and vegetables. 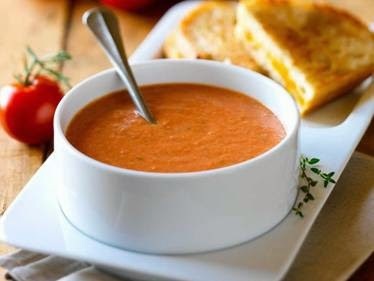 This comforting soup is healthy and perfect for a cold day and not to mention....delicious. In a large stockpot, heat the olive oil over medium-high heat. Sauté the onion, garlic, carrots, and celery until tender, about 5 minutes. the chicken broth, lemon juice, bay leaf and bring to a boil. Add the orzo and cook, stirring occasionally, for 6 to 8 minutes, or until orzo is tender. Add the chicken and heat for about 5 minutes. Remove the pot from the heat. Add lemon slices. Discard the bay leaf and stir in the parsley. Season with salt and pepper, to taste. Ladle the soup into bowls and serve warm. *Note: You can use shredded rotisserie chicken in this soup. A few months back, we had a pot luck get together at Joe and Tom's house. We had a great time and even got to meet some of my future son-in-law's family members for the first time. 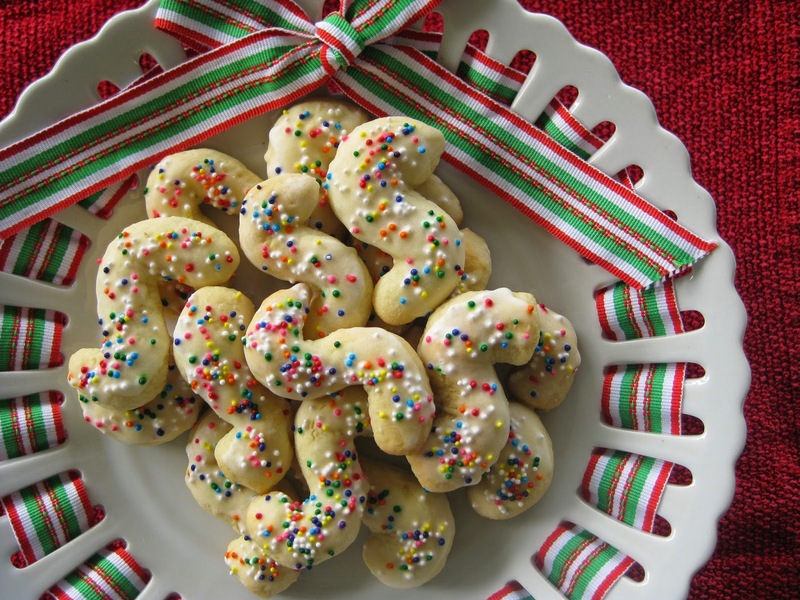 When it was time to set up the dessert table, I spotted these great little cookies. When I tasted them, it brought me back a few decades. You just knew that every little cookie was made from scratch with patience and love. I just had to have the recipe. Tom's Aunt Kathy was kind enough to get it for me and of course they are called "Grandma's Cookies". Just have to make these for Christmas. Note: You can roll in sesame seeds or sprinkle with candy nonpareils and then bake.